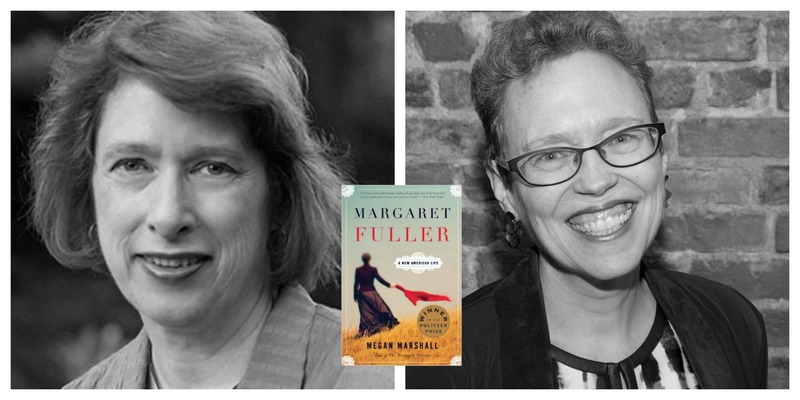 On Sunday, September 20th we spent an hour in conversation with Megan Marshall, the author of MARGARET FULLER: A New American Life. Here are a few audio excerpts. You can listen to the entire conversation at the end of this post. Our first audio clip includes my introduction of Megan, an exploration of how Megan came to write Fuller’s biography, the impact the Conversation series Fuller founded had among women who participated and more… Give a listen. For many Politics for the People members, reading the book was our first introduction to Margaret Fuller. Caroline Donnola asked Megan why Margaret Fuller seemed to disappear. June Hirsh asked Megan to share the impact that writing the book had on her own life and what were some of the discoveries she made in her research. Dr. Jessie Fields and Megan Marshall explored the role of Greek and Roman Mythology in Margaret’s life and how transcendentalism was important in her development. In his dialogue with Megan, Harry Kresky shared, “I came of age in the 60’s and the Women’s movement and the gay movement were very very radical and over the years became very much a part of the traditional, or at least the existing political framework. What attracted me to – and I’m not a feminist; probably for that reason maybe other reasons as well – but what attracted me, what I loved about the book and about Margaret fullers that she seemed completely “un co-optable” and so un-politically correct and yet was maybe the country’s first feminist, so I was wondering if you could share some of your thoughts about that aspects of her, and her life and her attraction.” You can hear Megan’s response below. We covered a lot of terrain in our conversation with Margaret. I think you will enjoy this rich conversation.